Are you fed up of having the same old style in your bathroom for years? If yes, then you probably need to restyle your Bathroom and kitchen designs. These 2 places define the hygiene of the house. So a viable decision should be made while selecting their design. With tremendous option in the market, your bathroom design will shine like a gem. Acrylic shower panels are one of the ongoing trends which will not only give you style but also create a unique look for your bathroom. But wait, before getting your hands on the most trending shower panel, let us make a quick analysis of a few things. These few things shall come into consideration before purchasing acrylic shower panels. Having to spend tons of money on professional installation is something which could put many people off from buying an acrylic panel. But we have a piece of good news for you, you don’t have to spend money on installation, you can quickly and easily fit them yourself. Majority of companies will also supply you with fitting instructions and have customer support in case you need a little help. If you are thinking that ‘thicker is better’ you might be wrong. Once the shower wall panels have been installed, the thickness of the panel doesn’t matter if it is a solid perspex color. While on the contrary, thicker panels have their own benefits as they are less likely to break if installed over an uneven surface. You may be surprised to find out just how hard-wearing acrylic wall panels actually are. This plastic sheet follows ‘you get what you pay for’ rules. If you want long lasting acrylic wall panel with an amazing finish look then you need to find a seller that can give you the desired quality for the acrylic panels. Also, look for scratch-proof materials which are preferably hard coated. The shower panel materials should be able to cop up with the changing climate. For example, the general wear and tear occurring during moist environment. 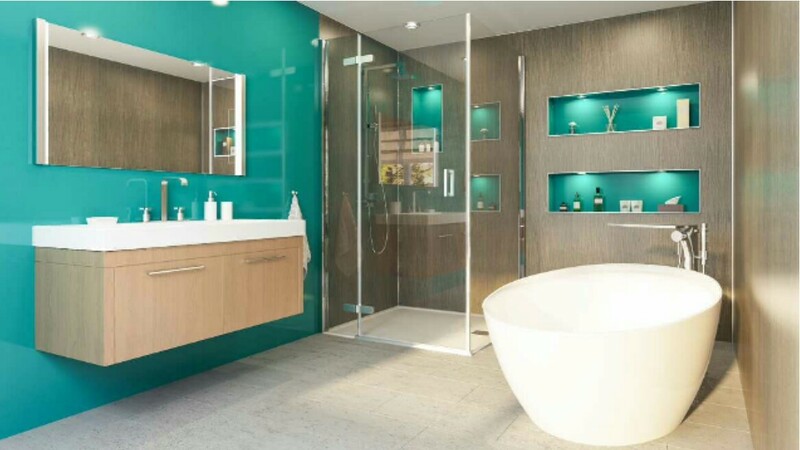 Purchasing acrylic shower wall panels can seem like a long and difficult process but it doesn’t have to be. You just need to consider the above mention tips when you are buying acrylic shower panels.